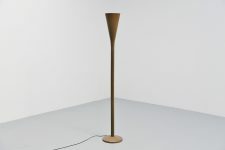 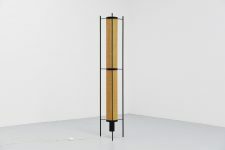 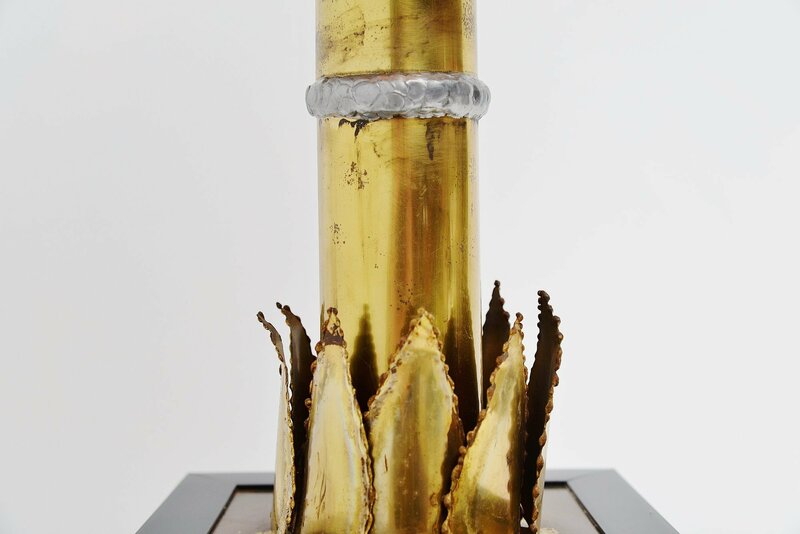 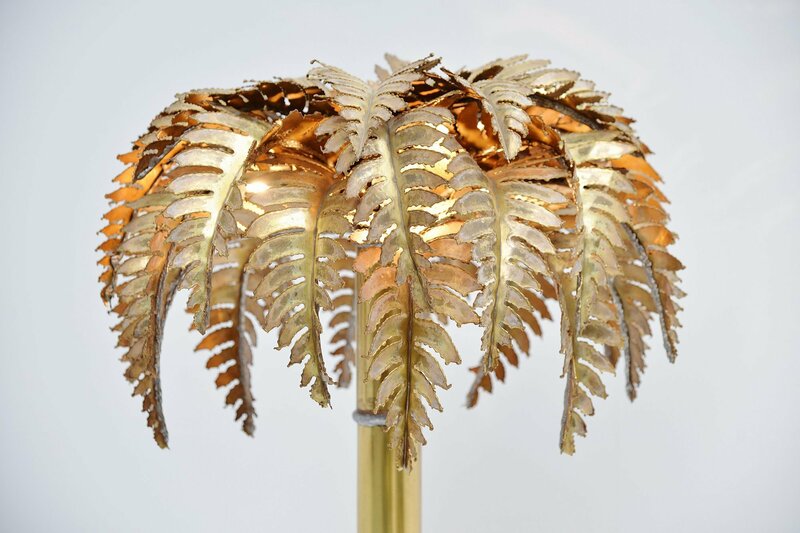 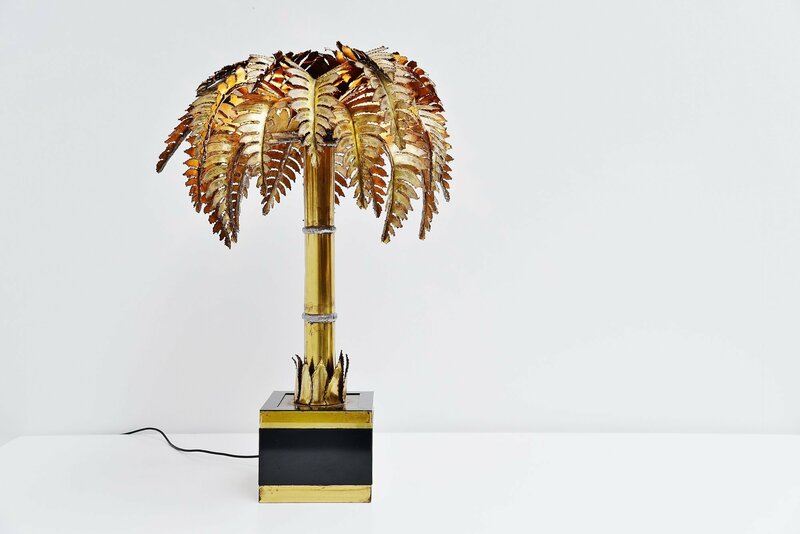 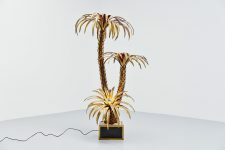 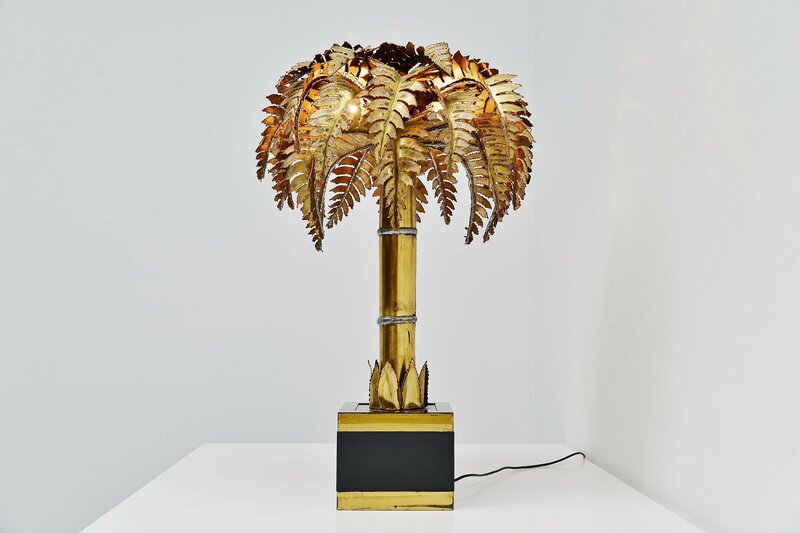 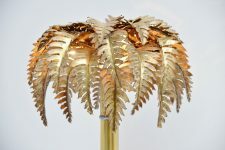 Very nice and highly decorative palm tree floor/table lamp designed and manufactured by Maison Jansen, France 1970. 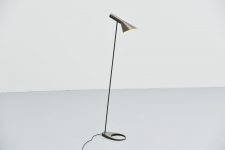 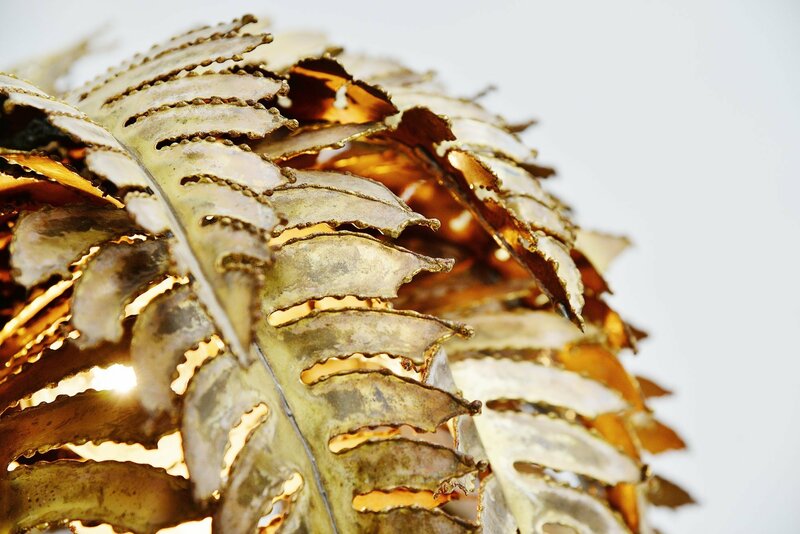 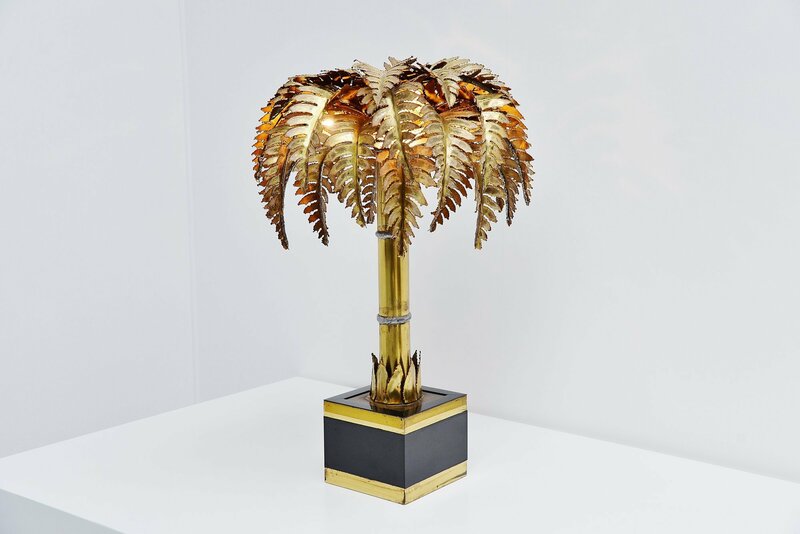 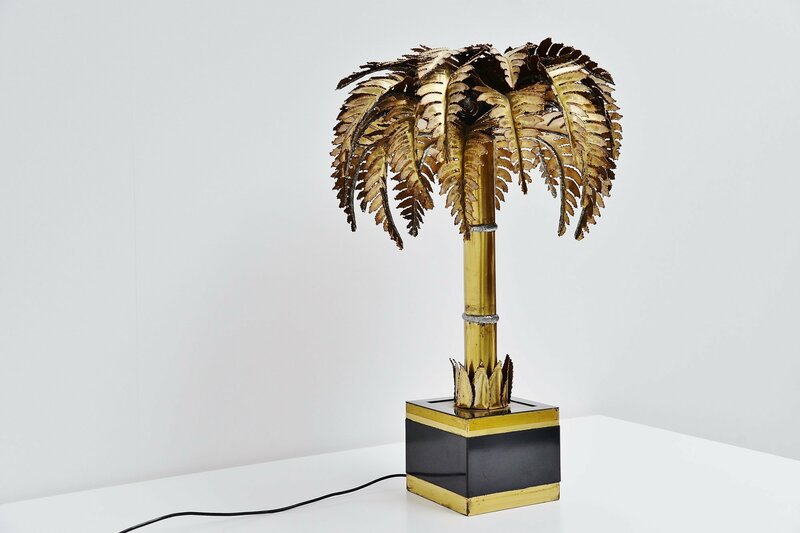 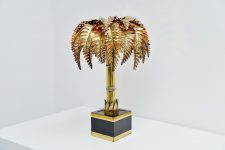 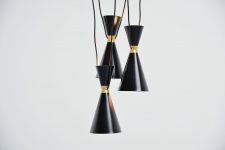 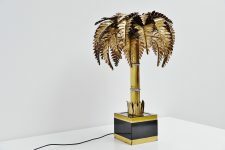 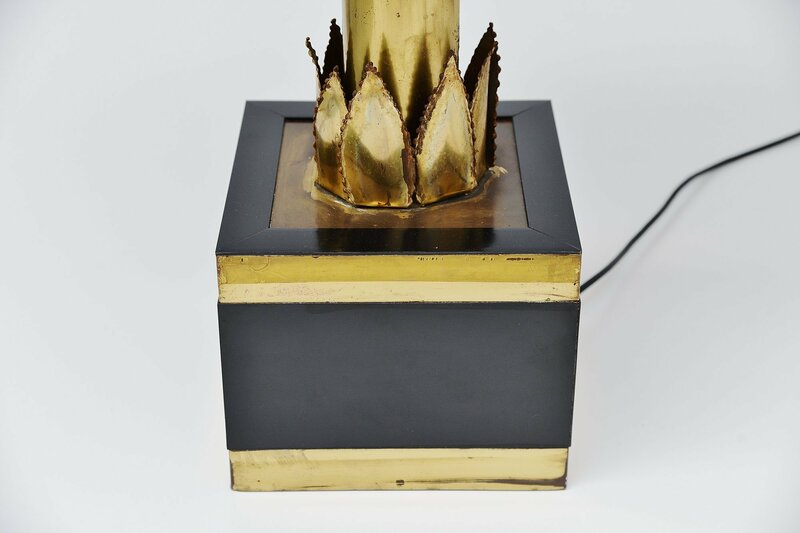 Superb shaped palm tree lamp with brass leaves and black laminated base. 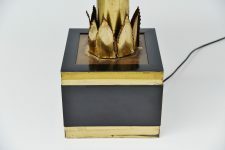 The lamp is in very good and clean original condition, very nice patina to the brass and normal wear to the base. 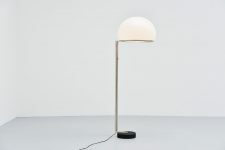 Works perfectly and uses 4 E27 lamps up to 60 watt each. 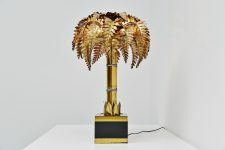 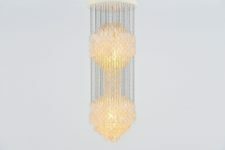 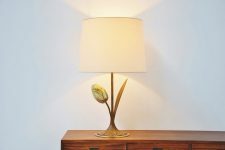 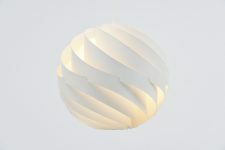 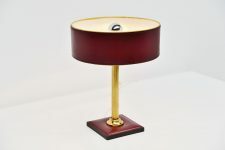 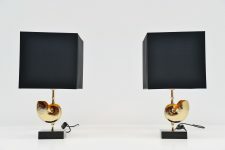 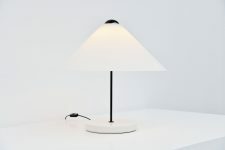 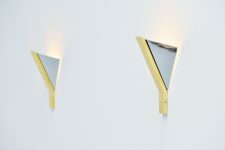 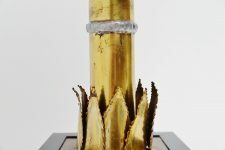 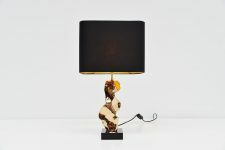 Super decorative lamp which is highly wanted at the moment, large model!